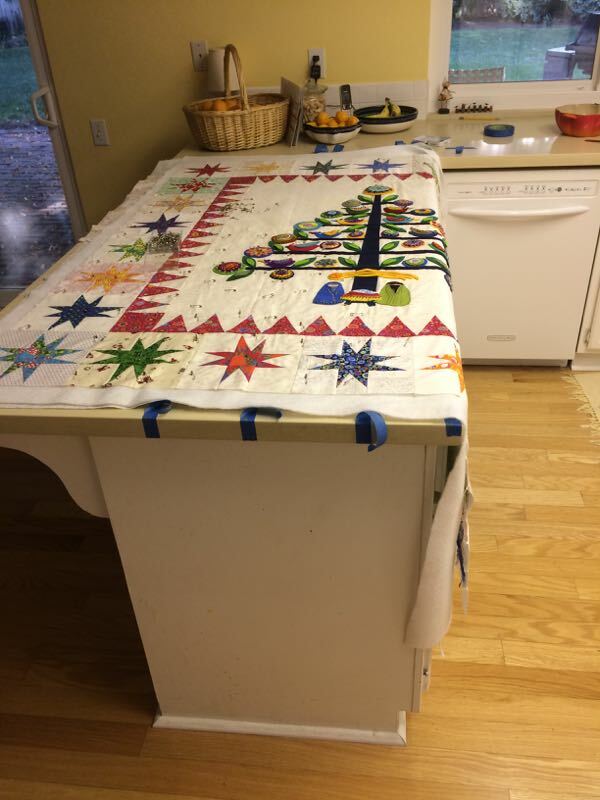 Making Progress on Oh Christmas Tree Quilt | OccasionalPiece--Quilt! 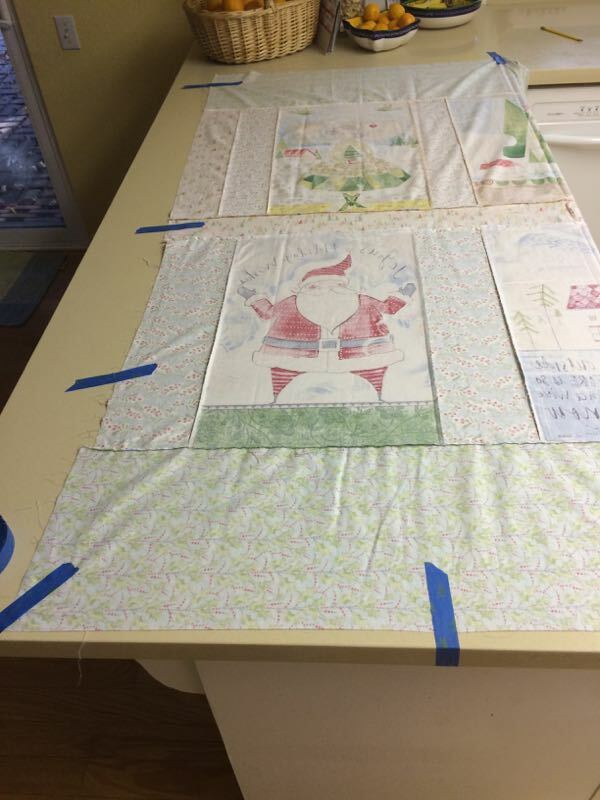 Great post and it’s wonderful to see your progress on this quilt. Mine, thank you, is hanging in a small art gallery locally – they run an exhibit of quilts each year at this time and OCT was the perfect submission! 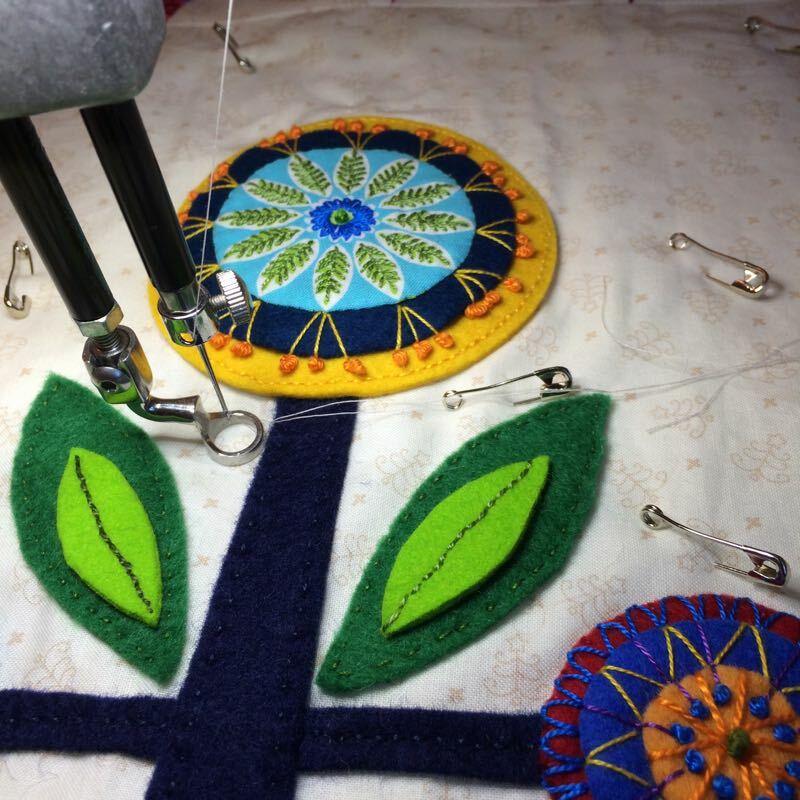 I suppose there are folks who go into their creative space and feel “oh, so (sew) much to do”, but my thought is always, always “what do I want to touch today, what is calling me”. It’s always nice, and essential I think, to take a step away, take a trip, refresh the brain, but once home, I head to the studio first, breathe it all in, and then feel like I’m really home, ready to crank the flywheel again. Awesome quilt, all of it. Thanks for the articles on the sacred place. I have one of those and it is my creative space. You never know what will appear lol. Oh. My. Goodness. Every time you post a picture, I think,’This is my favorite quilt’. This morning is no different! I have loved the pieces of this quilt as you made them, but the entire quilt is so happy, so vibrant, that it makes my heart sing. 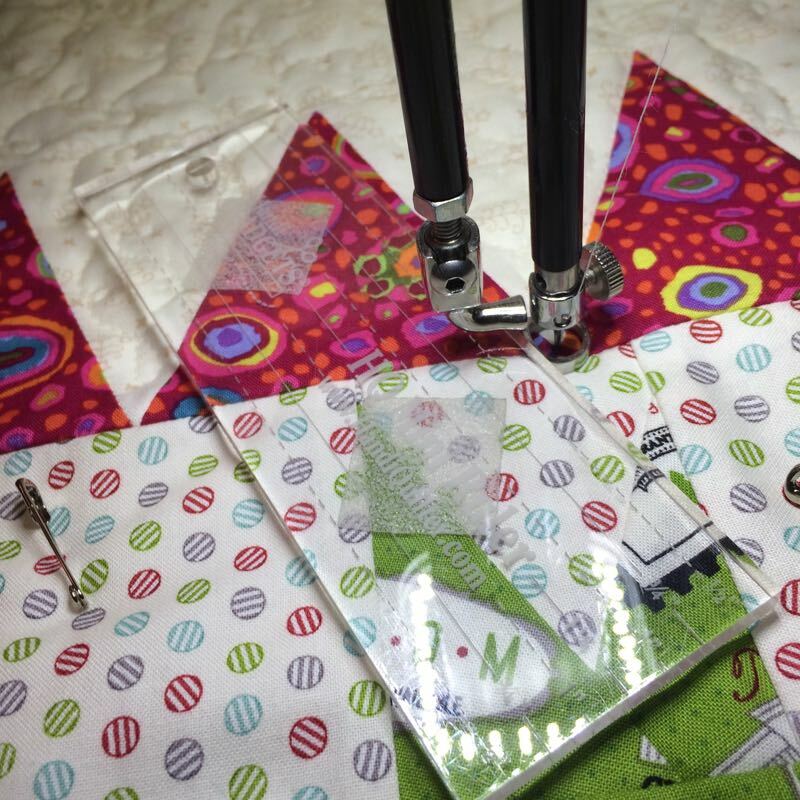 Your quilting is perfect-not so busy that it takes away from the lovely piecing, but just enough. The stars add just the right amount of Christmas cheer. Just consider me one of your biggest fans. I am always excited to see your emails in my in-box. I really love this quilt, Elizabeth. I remember you stitching the backing at the beach. 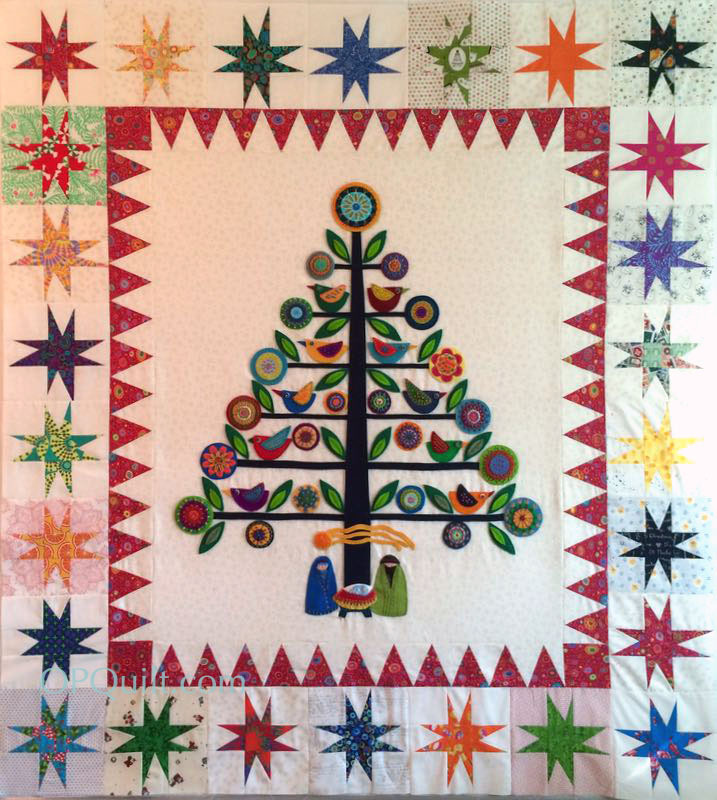 I’m sure the star quilting will be perfect too. 35 days makes me take a deep breath. Seems like a lot more people have Christmas lights up here already. (Maybe in an attempt to bring some happiness to the end of a year filled with conflict!?) I love the term “engine of belief.” I am going to view my sewing machine as my engine of belief! 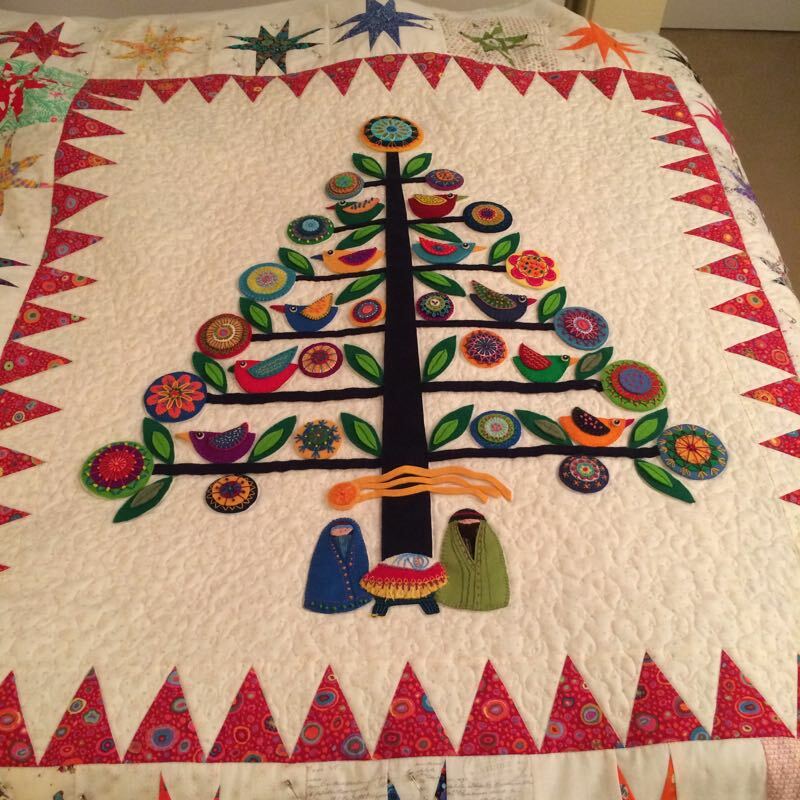 Your “Oh Christmas Tree” quilt looks great! Your quilt is gorgeous! I especially like the star border. 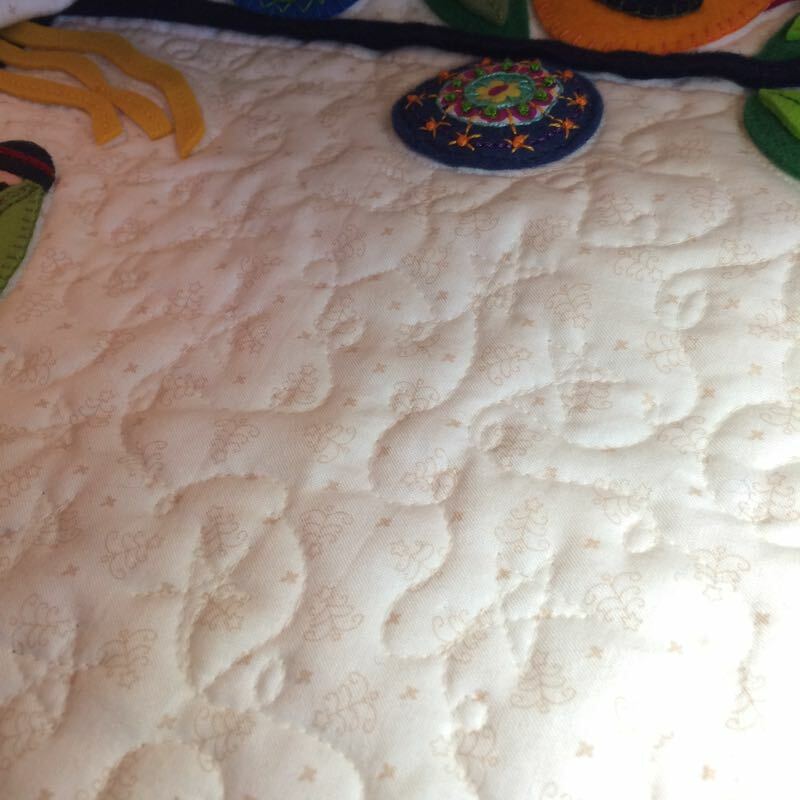 The quilting’s lovely, Elizabeth. Just right, as the Bears would say. I am way behind on this project, but have finally started on the last border. I have three Wonky Stars made. Twenty-three to go. Thanks for all your help in guiding us through this project. 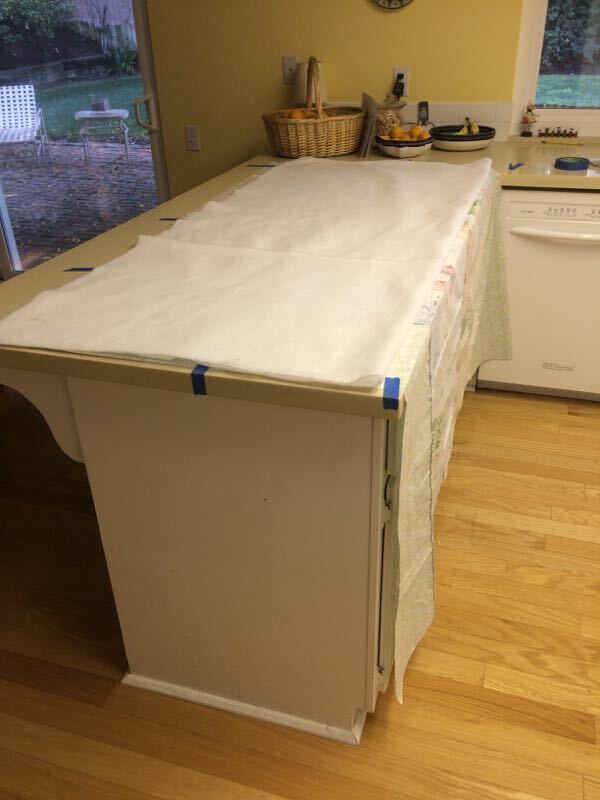 Thanks for sharing how you baste a quilt on a smaller surface. 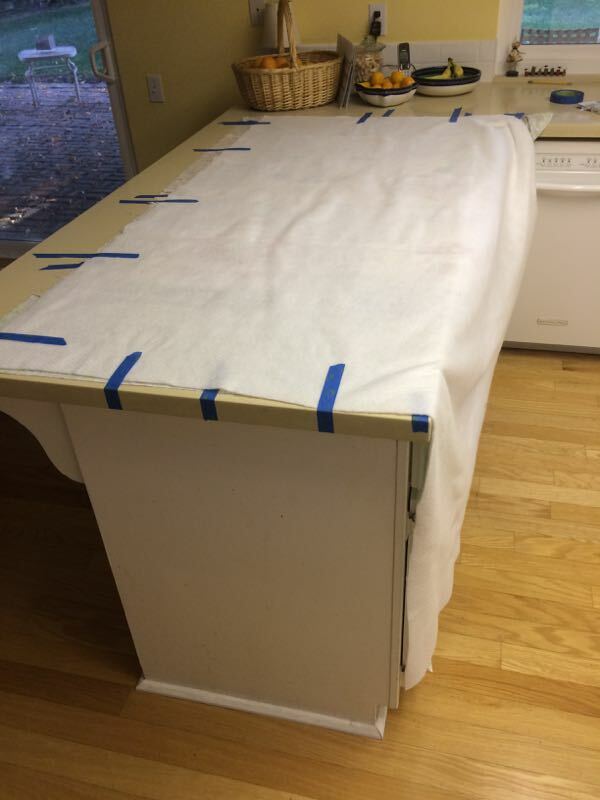 If you had one whole surface, would you still tape the batting? I’ve only met one quilter in my lifetime who tapes down her batting, though in your case, it’s probably pretty helpful. I shouldn’t say that I envy you having that Sweet Sixteen, but I do. I am sure you can quilt faster, and that would be a treat! 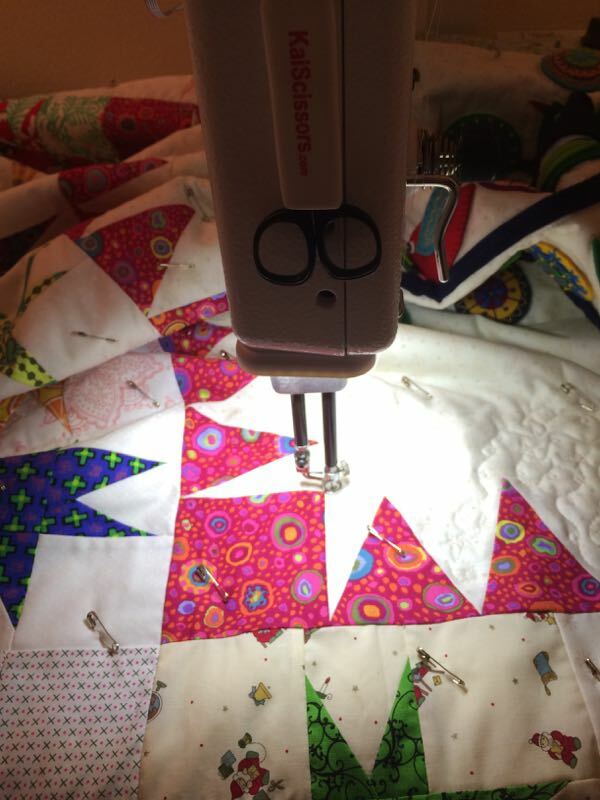 Though my Janome stitches 1600 stitches per minute, it’s fast enough, but the quilter is slow about moving the quilt around! Ha! Hope you make your December 1 deadline. A finish is always a good feeling. Lovely, insightful thoughts from two writers. I appreciate them. Happy Thanksgiving to you and your family! I bet there’s a big family celebration in your near future. I love your blending of quilting/creating and literature. You are a woman after my own heart. Good luck with your December 1st deadline! I’m sure you’ll make it! Your OCT quilt is so lovely! Mine will have to be a 2017 finish since all I have complete is one branch stitched down — lol! At least all my supplies are in one place and ready to go. 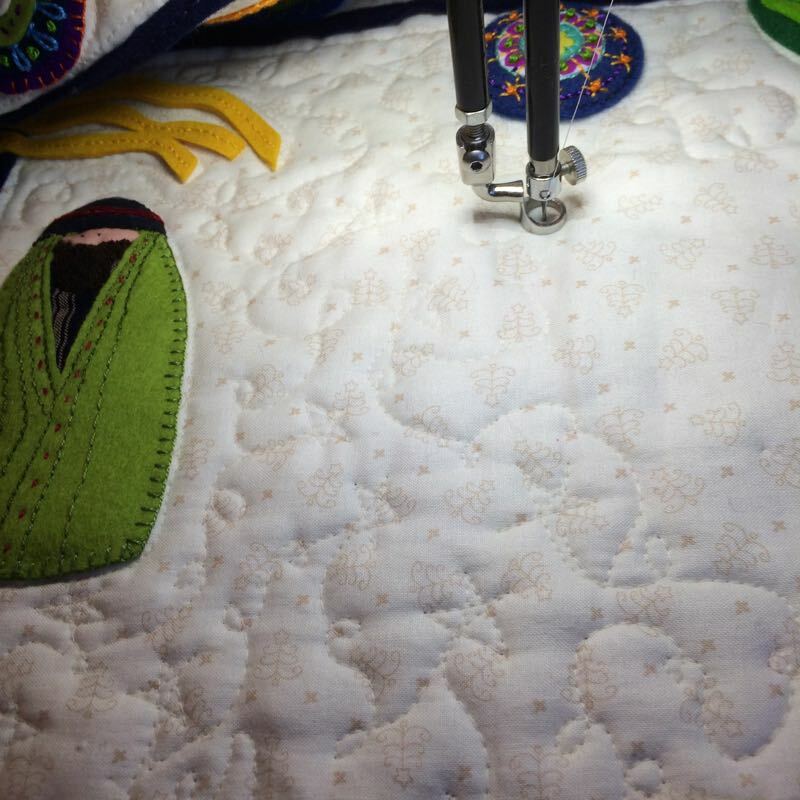 Quilting around rather than through the felt seems like a good decision to me.